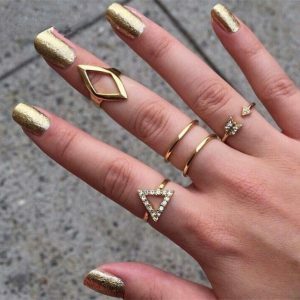 With this ring set you draw all attention to your hands. It consists of 4 midi rings. Two round thin rings. A ring with a heart and leaves. 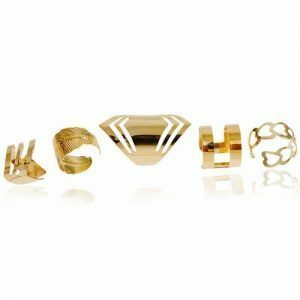 You can wear them on top of your fingers. To finish off your look you can wear cute cute bracelet with heart. 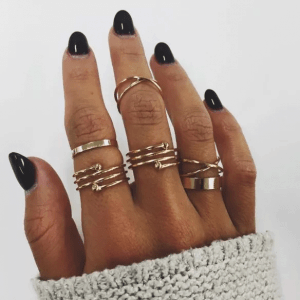 Do you have questions about the 4-piece midi ring set? Send us a message. 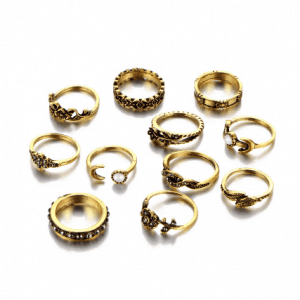 This golden ring set consists of 6 nice rings. 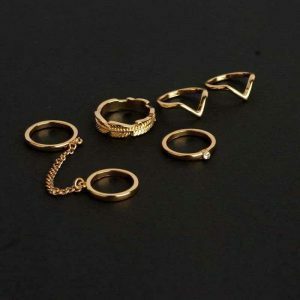 The rings have a minimalist design. You can easily combine it with other subtle, fine jewelry. 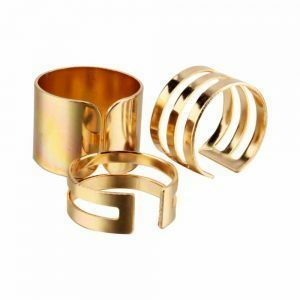 Wear it together with a stylish minimalist necklace or beautiful golden hoops earrings. 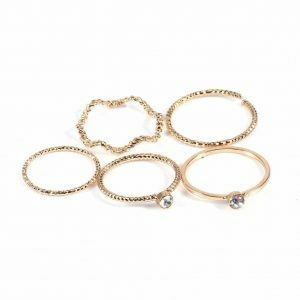 Do you have questions about the 6-piece minimalist ring set? Send us a message. 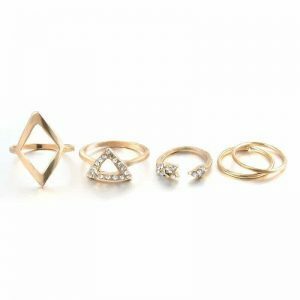 This ring set consists of 6 minimalist rings. They all have a subtle, fine design. 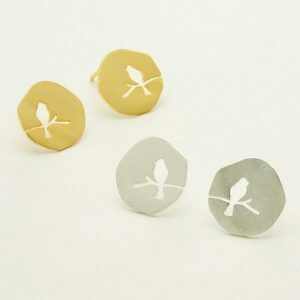 The minimalist design makes it easy to mix and match with other jewelry. 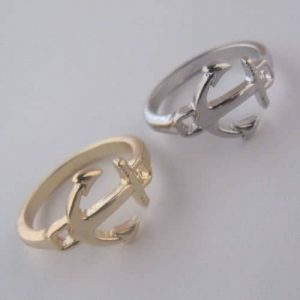 For example with a nice necklace or nice hoops earrings. 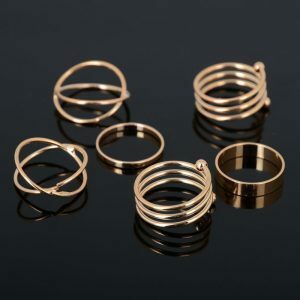 Do you have questions about the 6 pcs spiral ring set? Send us a message. 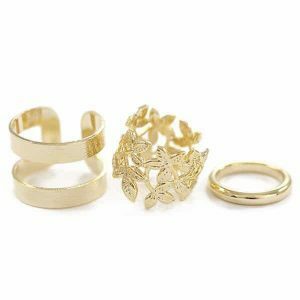 This stunning set of gold rings is the perfect accent to your look. They can be worn all together or distribute them evenly to both hands. 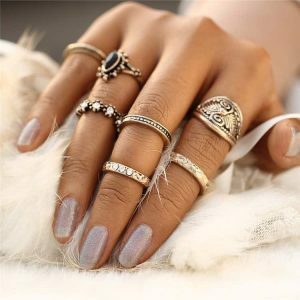 These rings can bring the boho or vintage vibes to your ensemble. The design permits you to style them easily because they can match with almost any outfit. 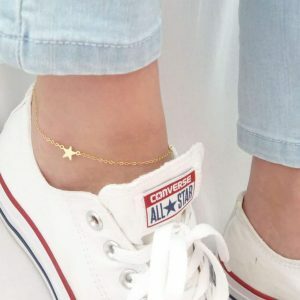 Do you have questions about the ankle bracelet with star? Feel free to send us a message. 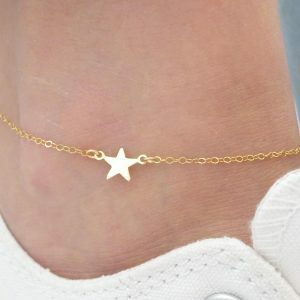 This anklet set consists of 3 stylish golden anklets. Mix and match it with other lovely anklets for an ankle party! 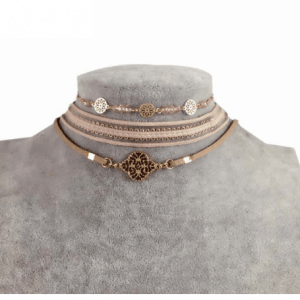 Combine it with the popular 3-piece choker set. Or with golden creoles. 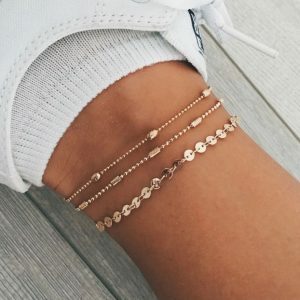 Do you have questions about this 3 piece gold anklet set? please send us a message. 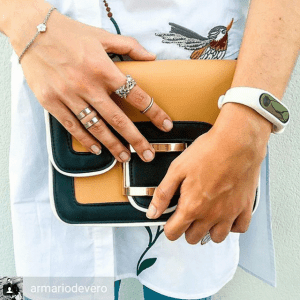 Decorate your wrist with this arm candy! 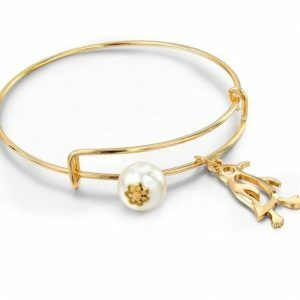 This golden bangle bracelet has a penguin and pearl pendant. Mix and match it with other lovely bracelets. 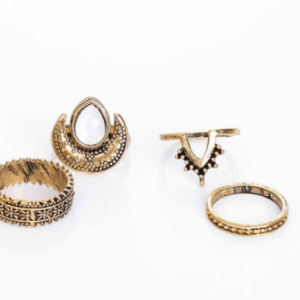 Complete your look with gold jewelry. 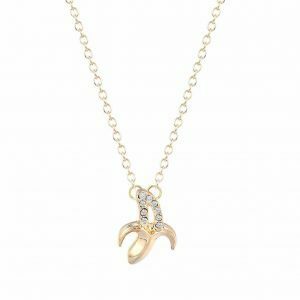 For example with a short necklace with a penguin pendant or with nice earrings. Do you have questions about this golden bangle bracelet with penguin pendant? please send us a message. 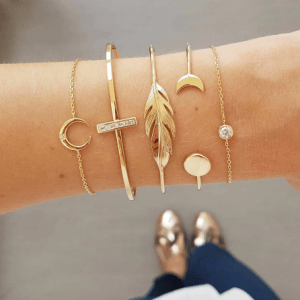 Decorate your wrist with this arm candy! 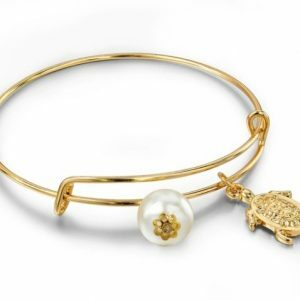 This golden bangle bracelet has a turtle and pearl pendant. 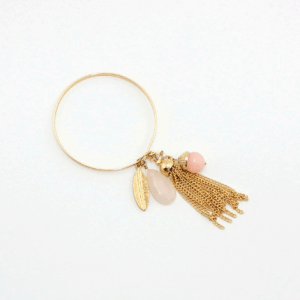 Mix and match it with other lovely bracelets. Complete your look with gold jewelry. For example with a short necklace with a turtle pendant or with nice earrings. Do you have questions about this golden bangle bracelet with turtle pendant? please send us a message. ” Don’t worry bee happy ” Minimalist rings are super fun! This subtle, fine has a design. A nice ring gives your outfit something extra. But it also makes you feel good because you look great. 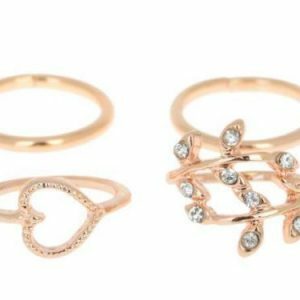 You can easily wear this simple ring with other minimalist jewelry. 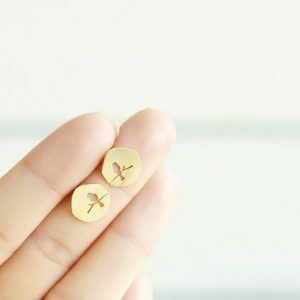 For example with a subtle necklace or with nice studs earrings. 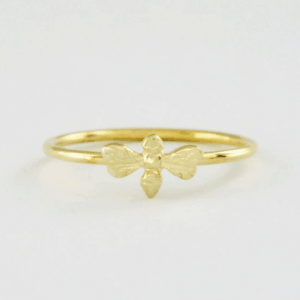 Do you have questions about the minimalist ring with design? Send us a message. With this BFF necklace set you can show everyone that you and your best are inseparable. 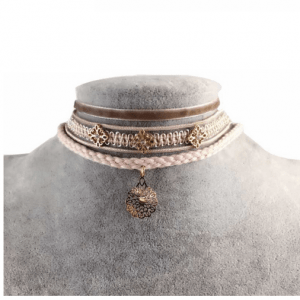 This lovely necklace set consists of two separate necklaces. You and your bestie each get a piece of the heart. You can combine your new necklace with other nice necklaces for a layer effect. 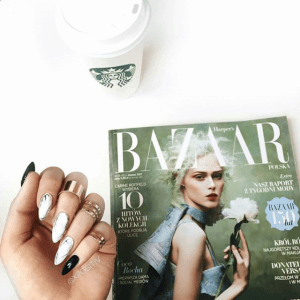 Finish your look with gold studs or with a nice subtle ring. 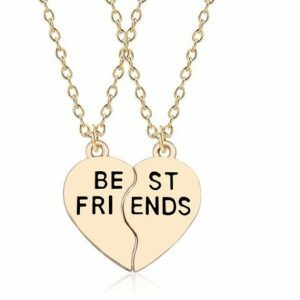 Do you have questions about these two BFF necklaces? please send us a message.